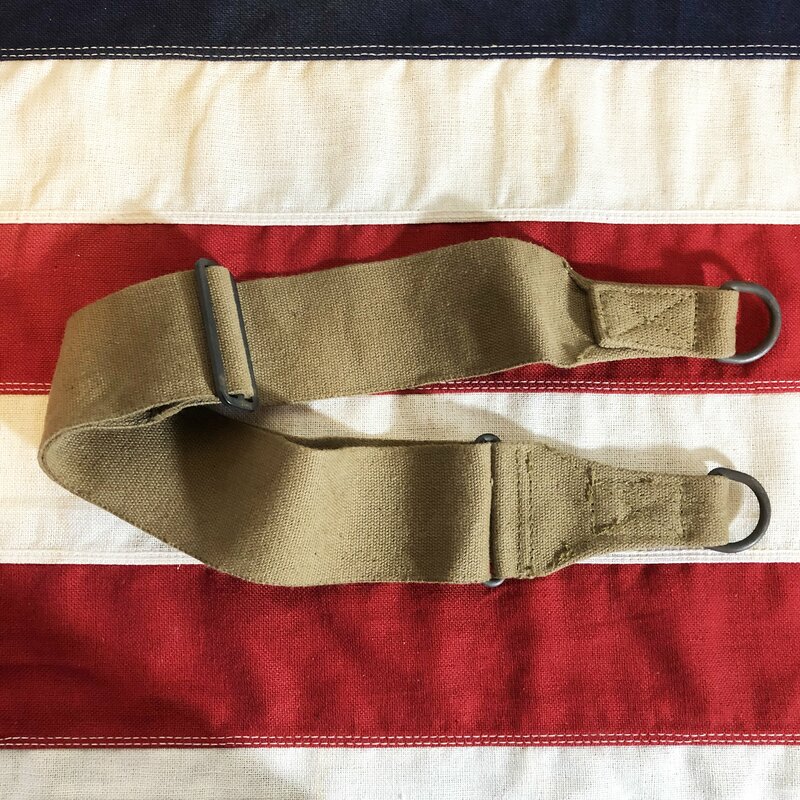 This M36 Musette Bag Strap is a reproduction made of canvas and is approximately 32 inches in length. Unlike a utility strap, which has two clips, these have a d-ring at each end. They will also work with our repro M1 ammo bag.